A group calling itself the Eastern Corridor Citizens’ Coalition (ECCC) has appealed to President Akufo-Addo to take steps to create the proposed Eastern Corridor Region. 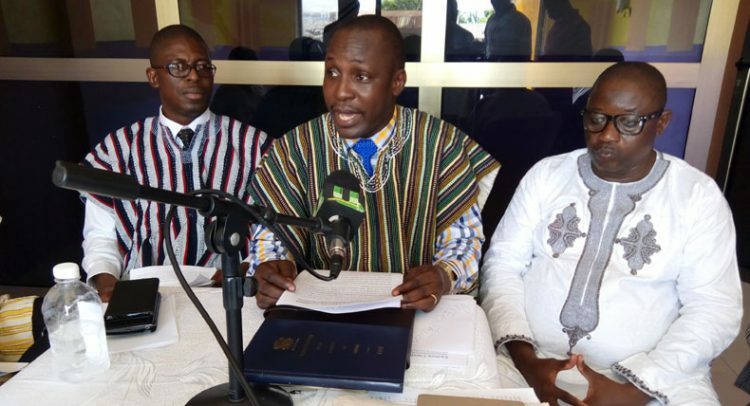 According to the Coalition, chiefs and other groups from the Eastern Corridor Enclave have sent several petitions to the President for the creation of the Eastern Corridor Region. “Unfortunately, Mr President is yet to act on these petitions to set the processes for the creation of the region, though we are aware of similar petitions against the creation of the said region,” Chairman of the Coalition, Dr B.B.B. Bingab said at a press conference on Thursday in Accra. He said during the 2016 campaign, President Akufo-Addo promised to create the Eastern Corridor Region, which ought to be fulfilled. Representatives of the various ethnic groups in the Eastern Corridor Enclave were present at the press conference. Dr Bingab indicated that all Members of Parliament (MPs) from the area have backed the creation of the region. “Most of the 26 districts in the region, especially those in the Eastern Corridor Enclave, are very far from Tamale, the regional capital, coupled with a very poor road network and extremely poor transportation system, the people of the Eastern Corridor Enclave go through untold hardships on a daily basis to access services in the regional capital,” he said. Article 5 (1) and (3) grants the President the powers to create new regions. Efforts are being made to create six new administrative regions from the existing 10 regions. Two of the six new regions are expected to be carved out from the Northern Region and should the Coalition succeed in its demands, the Northern Region could be split into four. DAILY GUIDE understands that the majority of the people of the proposed region are into the cultivation of yam, guinea corn, maize, millet, rice, among others. “Despite these resources, the people of the Eastern Corridor of the Northern Region are among the poorest in the country,” Dr Bingab said. According to him, mass school dropout, migration to southern Ghana and the neighbouring countries namely Togo, Burkina Faso and Nigeria, to engage in menial jobs, among others, have been blamed on underdevelopment in the area.